Yep! 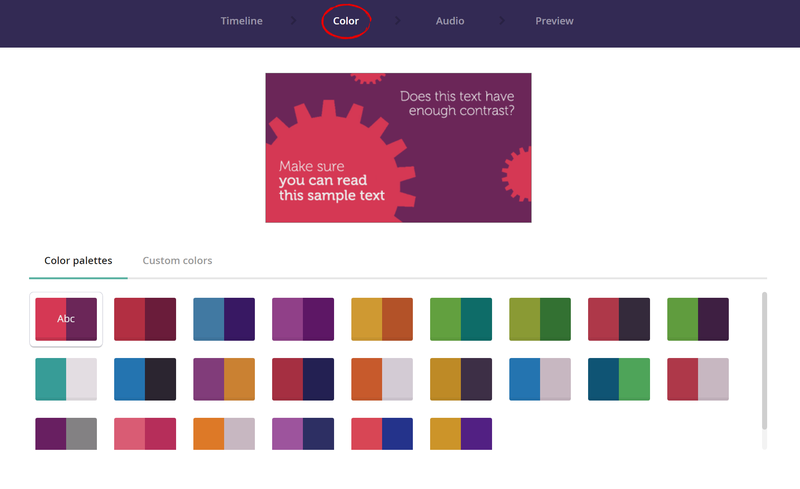 Just click on the Color tab and select what color palette you would like. You can also select custom colors to suit your branding. Color changes affect all animation scenes, however they don't affect the text color on footage scenes.